Faced with the daily challenge of what to cook for her three young children, chef and mum Claire Thomson made it her mission to inspire parents stuck in a teatime rut. 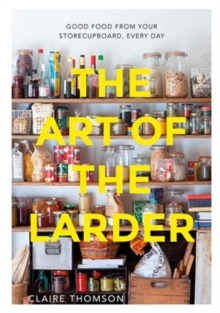 Every day she makes a `proper' tea, tweeting it at 5pm - from that her blog '5 O'clock Apron' was born and a popular Guardian column on cooking for children followed. 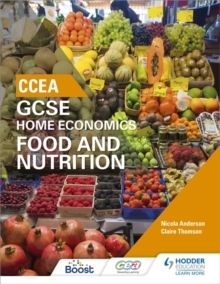 Claire wants to inspire other parents and invigorate the concept of family cookery. 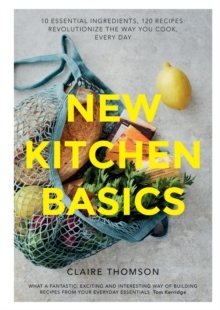 Cooking shouldn't be a chore, one meal for the grown-ups and another for the children. Claire's fresh, exciting meals are versatile and flavourful enough to please everyone around the table, encouraging parents to view food differently, to refresh their culinary imaginations and find real joy in cooking for their children. 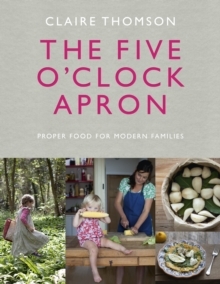 Featuring sections on milk, bread, grains, pulses, rice, vegetables, fruit and fish, 5 O'clock Apron will engage and empower parents. 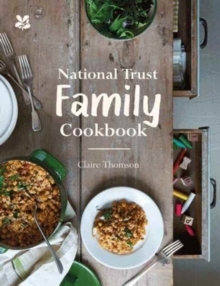 Not just a recipe book, but a way of thinking about how to shop, cook, eat and celebrate as a family, Claire provides a unique insight, as both a mother and a chef, into what really makes food appealing for children.